RABIES- ARE YOUR PETS PROTECTED???? Rabies is a viral disease that affects the central nervous system of mammals, including humans. Once clinical signs appear, rabies is almost always fatal. In Canada, bats, foxes, racoons, and skunks are the most common transmitters of the disease. Rabies is found worldwide. It is common in animals in both Canada and the U.S.
Rabies is transmitted through saliva, primarily via bite wounds. It can also be spread when infected saliva comes into contact with a scratch, open wound or the mucous membranes of the mouth, nasal cavity or eyes. When the virus enters an animal’s body, it moves through the nerves to the brain, where it multiplies quickly. The virus then spreads to the salivary glands and other parts of the body. The incubation period (from initial exposure to clinical symptoms) may range from two weeks to many months. 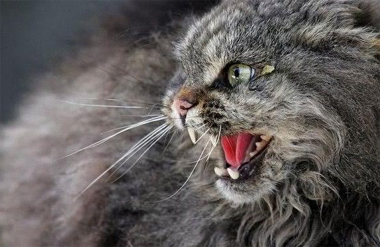 It can depend on a number of factors, including the strain of rabies and the location of the bite. Though animals are not considered infectious during the incubation period, it is important to note that they may be able to transmit the disease several days before showing clinical signs. Rabies can only be definitively diagnosed by examining specific areas of the brain following death. To confirm the disease, samples must be tested at a Canadian Food Inspection Agency (CFIA) laboratory. There is no treatment for rabies once clinical signs appear. 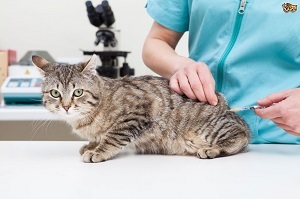 Medical professionals can administer post-exposure prophylaxis (vaccination) to a person following exposure to an animal suspected of carrying the disease. Vaccination is recommended for anyone involved in occupations that put them at high risk of rabies exposure. All domestic animals should be vaccinated in areas where rabies is known to occur. Canada is not rabies free. Animal owners should consult with their veterinarian about an appropriate vaccination schedule for their pets and livestock. Who is responsible for rabies management in Canada? How are the risks associated with rabies managed? Controlling the spread of rabies is a shared responsibility of the public, the veterinary profession, public health departments, wildlife departments and the CFIA. The public can help reduce the spread of rabies through responsible vaccination of pets, as well as informing authorities when an animal is suspected of having the disease. Keeping pets under control, teaching children not to play with wild animals or pets they don’t know, keeping a safe distance from wildlife and not trying to raise orphaned or injured wildlife all contribute to preventing rabies. The veterinary profession can educate clients regarding the value of vaccinating pets, and the vaccination requirements for pets travelling to other countries. Various wildlife departments are involved in vaccinating wildlife species, surveying the extent of wildlife rabies in certain geographic areas, as well as surveying the extent of rabies in certain species. All of these efforts help reduce the incidents of rabies and rabies exposures.